Looking to shoot a jump shot like Stephen Curry or Kevin Durant? 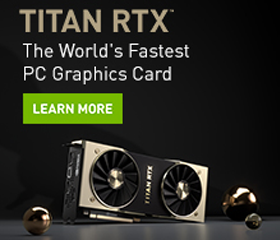 This AI can help. HomeCourt is a basketball training app that uses deep learning to record, track, and chart shots for basketball players in real time. NEX Team Inc., the California-based company behind the app, unveiled the product this week and also announced $4 million in funding from investors that include Mark Cuban, Steve Nash, Jeremy Lin, Sam Hinkie, Dani Reiss, Charmides Capital, and Mandra Capital. Using NVIDIA Tesla P100 GPUs on the Google Cloud, with the cuDNN-accelerated TensorFlow and Keras deep learning framework, the team trained their neural network on hours of basketball footage they filmed in local Bay Area high schools. 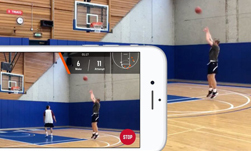 The app has the potential to help an NBA veteran improve their shots, as well as your up and coming high school athlete. You might not become the next NBA all star, but the new app can certainly help you improve your game. The app is available now on the Apple App Store for free, which allows users to record up to 300 shots a month and compete in HomeCourt challenges for free. A $7.99 per month subscription version allows unlimited shot tracking, recording, and video playback.